For more than 30 years, Beverly Hills Institute of Ophthalmology has had a reputation as the busiest and best eye care provider in the Beverly Hills and Torrance, California, areas. The expert ophthalmology team offers LASIK surgery, cataract surgery with premium intraocular lenses, glaucoma surgery, dry eye treatment, myopia treatment, astigmatism treatment, cornea transplants, and laser eye surgery. One of the reasons that Beverly Hills Institute of Ophthalmology is so popular among area patients is because they offer the very best in concierge service. 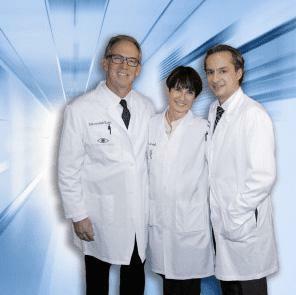 The Beverly Hills Institute of Ophthalmology team understands that one size doesn’t fit all when it comes to eye care. Each patient has their own unique needs, and the team makes sure that eye care is always fully customized for optimal patient satisfaction and excellent results. Use the online scheduler or call Beverly Hills Institute of Ophthalmology to book an appointment today.